Goal oriented and always looking to achieve higher potential. 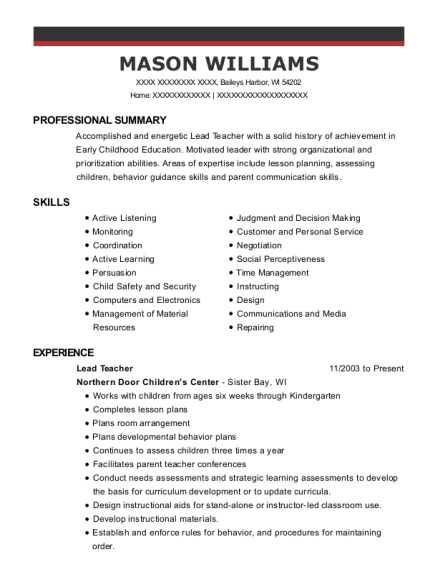 Valiuable asset for any company looking for a hard dedicated employee that strives for the best and bring out the potential in others. Will take on all task and expect to achieve exceptional results at all times. Criminal Jusctice University of Noth Albama － Florence, AL Attended UNA for 2.5 years on a Presidental Host Scholarship. I majored in criminal justice and minored in psychology. I dropped out of UNA in 2011 to start my carrer with Volkswagen of Chattanooga. 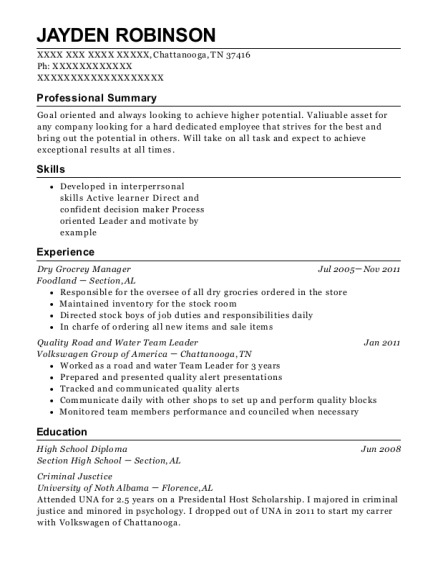 This is a resume for a Dry Grocrey Manager in Chattanooga, Tennessee with experience working for such companies as Foodland and Volkswagen Group of America. 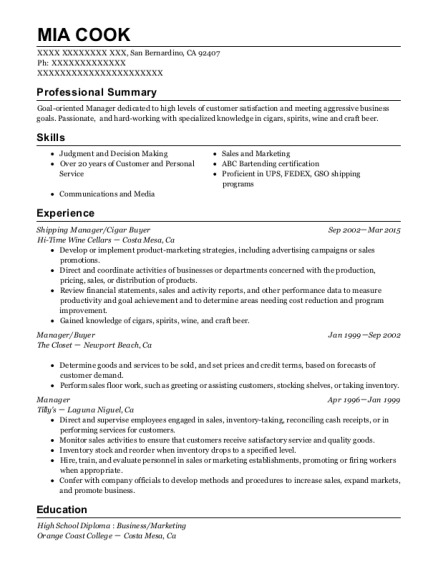 The grade for this resume is 0 and is one of hundreds of Dry Grocrey Manager resumes available on our site for free. 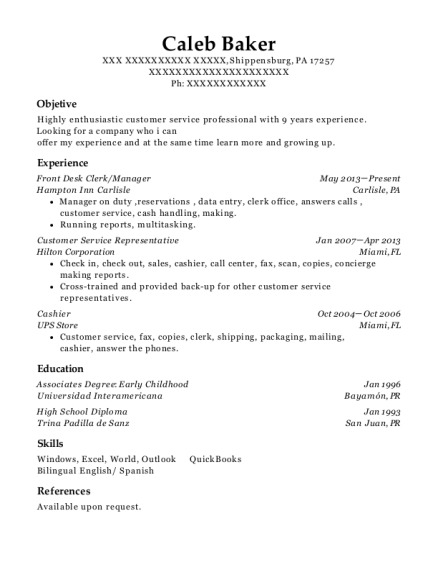 Use these resumes as templates to get help creating the best Dry Grocrey Manager resume.